Every 40 seconds, someone in the U.S. has a stroke. That’s 800,000 strokes every year—and 130,000 deaths. Knowing how to spot the signs of a stroke can help make the difference between life and death. 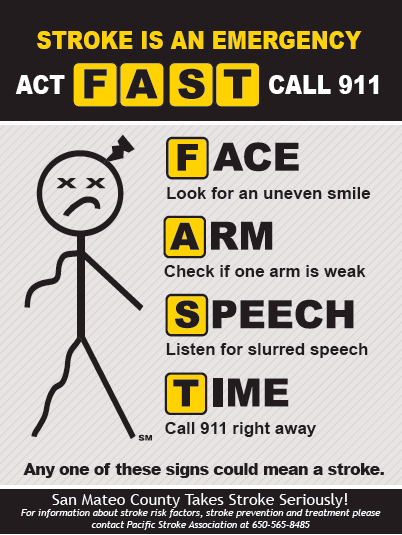 It’s critical to call 911 immediately because emergency responders are trained to take people with stroke symptoms directly to the right hospital, where they can receive time-sensitive and life-saving treatment. Stroke victims who get treated right away are less likely to die or be permanently disabled. 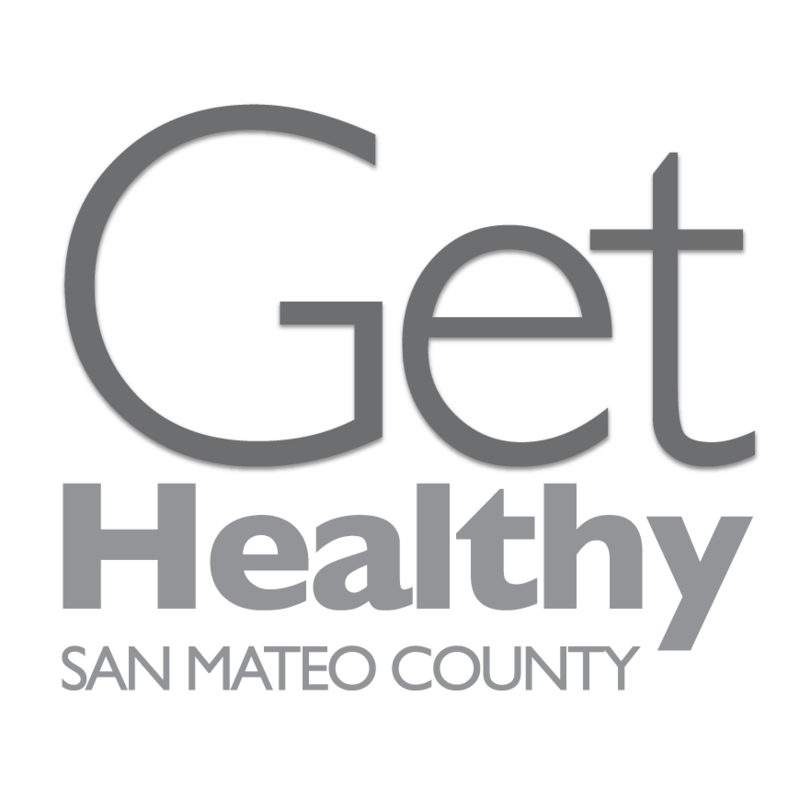 San Mateo County has an Emergency Medical Services (EMS) stroke system in place. This system begins when 911 is called and paramedics transport patients with stroke symptoms to one of six stroke hospitals serving the County, including Seton Medical Center, Peninsula Hospital, Kaiser Permanente South San Francisco, Kaiser Permanente Redwood City, Sequoia Hospital, and Stanford Hospital. Everyone can take steps to lower their risk for stroke by maintaining a healthy lifestyle and reducing their risk factors for stroke, such as high blood pressure, high cholesterol, and smoking.